Market Alley Wines is home to many different events throughout the week. With the support of Dr. Craig Vivian, a professor at Monmouth College, Tuesday nights have become board games nights. Members of the college and community come together to play different games for a couple of hours every week. In addition, Susan hosts many different wine and beer tasting nights, as well as an adult wine class. During the wine tastings, proceeds are raised for various organizations in and around Monmouth. The paint nights are held by Basia Krol. Those who attend are taught step by step techniques to create a painting while enjoying wine provided by Market Alley Wines. Monmouth College offers a wine course taught by Craig Vivian, who also teaches the adult wine class. 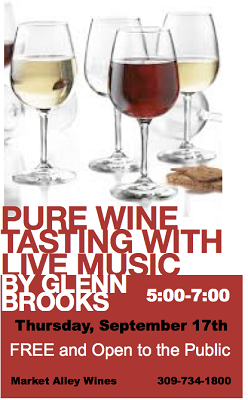 This is a chance for students and adult to learn about different types of wine they might not otherwise try. 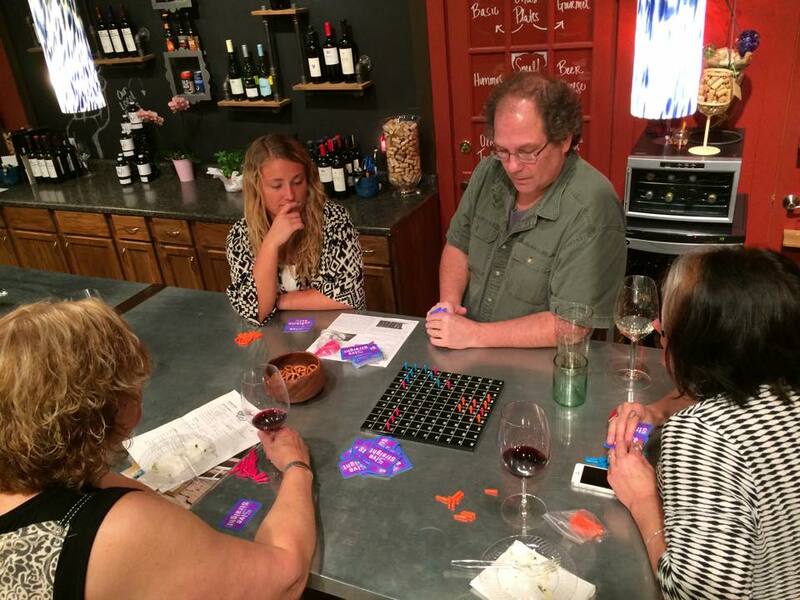 Dr. Craig Vivian teaches others how to play Straight 5 during Get Your Game On held at Market Alley Wines. 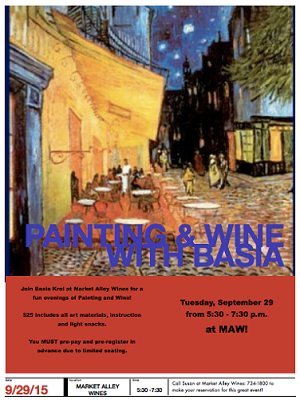 Market Alley Wines has hosted many painting and wine nights hosted by Basia Krol. An adult wine class is offered most Wednesdays at Market Alley Wines. This is a wonderful opportunity to try new wines. 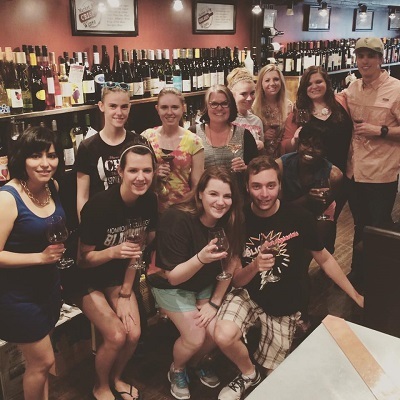 Members of Monmouth College's Wine Class from the Spring, 2015 semester. The students spent one evening a week learning about and trying three to six different types of wines.